To view your Mail server settings select E-Mail in the left navigation bar. Click on Domain or Manage for the Domain in question. 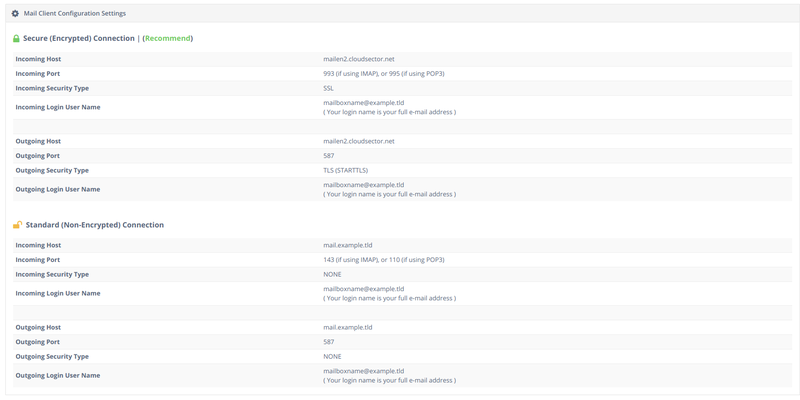 Scroll to the bottom of the screen below will give you all the info needed to setup you email client to connect to your cloud hosting email account.